The Cayman is a new lower-priced coupe for the Porsche lineup. Although derived from the Boxster, the Cayman features a higher price tag placing it above the Boxster and below the 911 in the lineup. Two models are offered: Cayman and Cayman S. The Cayman is powered by a 2.9L 6-cylinder whereas the Cayman S is equipped with a larger 3.4L engine providing an additional 55 hp. 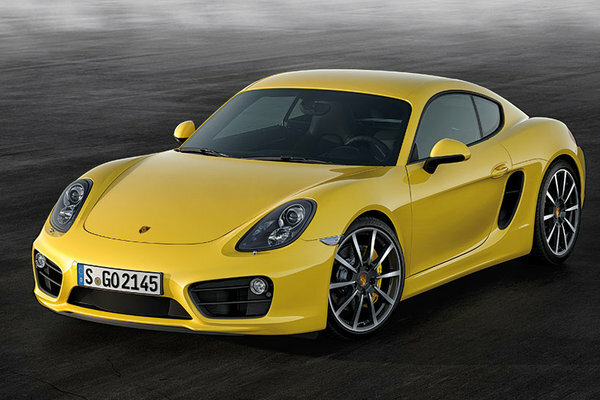 Porsche's entry-level coupe is all-new for 2014. Although the new model is nearly identical in length and width, it is lower with a significantly longer wheelbase and wider track. The base powertrain is a 2.7l horizontal six-cylinder rated at 275-bhp. The Cayman S equips a 3.4l six-cylinder now rated at 325-bhp. Both engines are available with either a six-speed manual transmission or seven-speed automated gearbox. In typical Porsche fashion, styling changes are subtle.